It’s crazy to think that April is right around the corner, but it’s true. 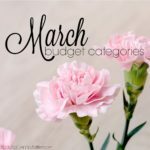 With the start of a new month comes a new budget. 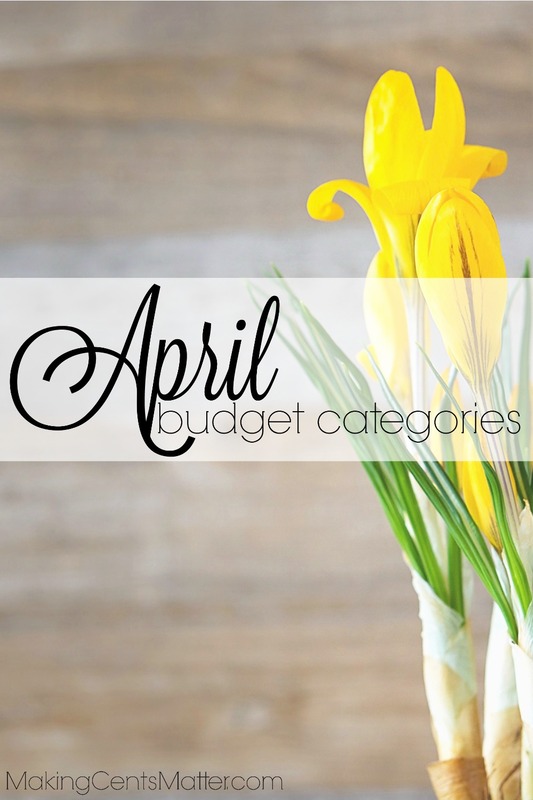 Here’s 15 categories to keep in mind while you’re making your April budget. This year Easter falls in April. Be sure to budget for everything needed to celebrate, whether it’s travel expenses, potluck dinner or outfits, make sure to set a limit and budget for it. In the US, taxes are due this month. If you haven’t filed yet, you’ll want to do that soon. 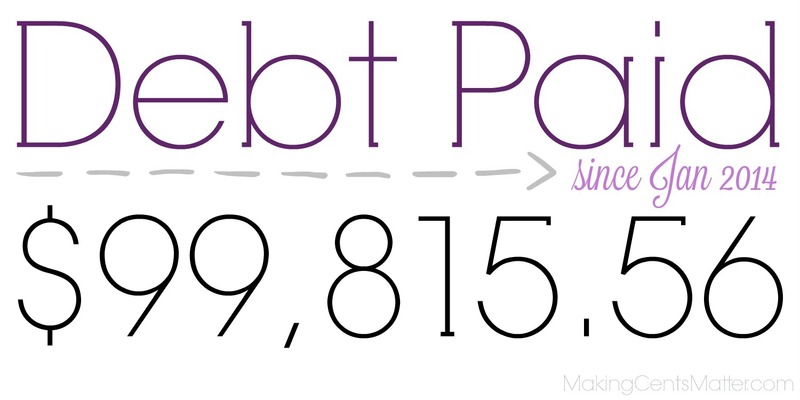 And if you owe money, you’ll want to make sure you have a plan to pay it, without adding it to your debt. In the northeast, the snow is slowly melting, but I know there are other regions that are experiencing sun. If this applies to you, you’ll want to make sure you budget for lawn care. Whether you pay someone to care for your lawn, or you do it yourself, it’s not free. Look at your lawn expenses in the past to get an idea of how much you’ll be spending throughout the growing season. With the warm weather comes more critters. If you’re the type that likes to spray for bugs and other pests, make sure you budget for it rather than be surprised by a big bill later. 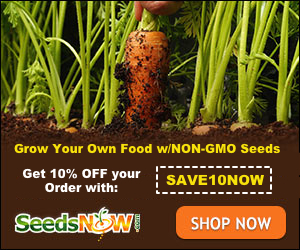 Whether you want to start a garden, or you’re looking to get your garden going for the year, it’s going to cost you a little bit of money. Make sure to set a budget for it, and stick to the budget. Get creative too! Some of the best results we’ve had in the garden have been from things we’ve had to come up with on the fly. Our farmer’s markets don’t start until May, but if you live further south than me, they’re probably already happening! 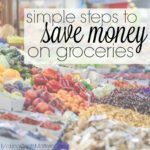 Don’t forget to budget for the expenses for fresh fruit, veggies, herbs and flowers, whether you incorporate the cost into your weekly grocery budget, or you have a separate envelope for it. Between youth camps in the summer, sports, marching band and theatre league, funding all the extra curricular activities isn’t cheap. 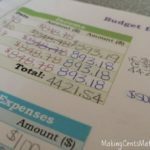 Make sure that you budget for, and save for these expenses ahead of time. Also, be sure to budget for any uniforms, pictures and fundraisers that may come up. Whether they’re for sports, school, or just updating family photos, make sure to budget out what you’ll want to spend, and find creative ways to keep your costs down. Rather than booking a private location, try a public location, like a local park to help save costs. With spring comes the scholastic book fair. In our region the spring book fair means buy one get one free on books. My kids really look forward to this, and so I make sure to budget their allowance into our April budget. With the nicer weather comes a plethora of birthday celebrations, weddings and baby showers. If you’ve been invited, make sure to set aside some money in your budget so you don’t overspend. We have a separate savings account for gifting purposes, but sometimes we have more invitations than money in our account. 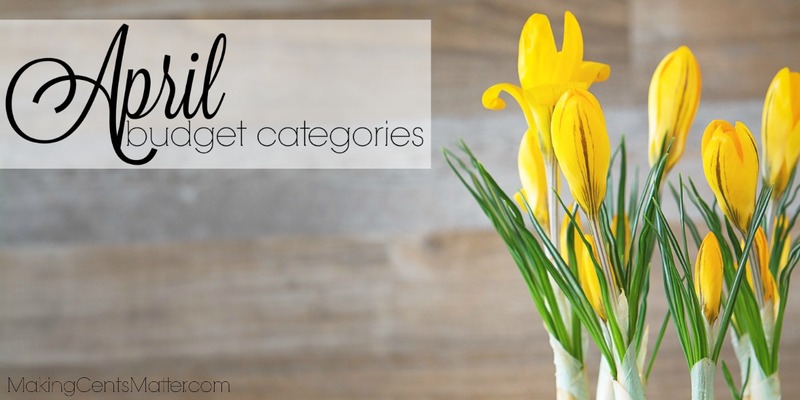 If you can’t afford any more financial stretch in your budget, slowly add money to a gift card over the span of a few weeks, or buy one item at a time within the normal constraints of your weekly budget. 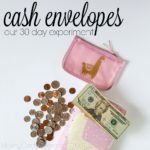 I find not only does it help keep us within our weekly budget, but we get really creative, and much more meaningful, on what we’re gifting. With the warmer weather, the heat isn’t in constant use, and it’s not hot enough to start cooling the house. It’s the perfect time to get your heating/cooling system inspected and perform any necessary maintenance. I have to take my car in for it’s annual inspections in April, but even when I didn’t have to, April is the perfect time to take your car in for some maintenance. Changing the oil, rotating tires, and washing off all the roads salt is a perfect start to keeping your car in tip-top shape for the spring and summer. Every spring and fall we have our semi-annual dental exams, and the summer is our annual eye exams. If it’s been a while for either, you may want to get yourself in for a checkup. Better to be on top of your health than have to play crisis management later on. 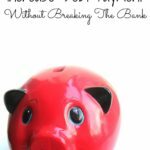 Be sure to keep up with any of your sinking funds. For us, we’re still saving for our quarterly and annual bills, as well as medical expenses. We’ve got a new sinking fund for a down payment on Bookworm’s orthodontic work coming up in the summer. 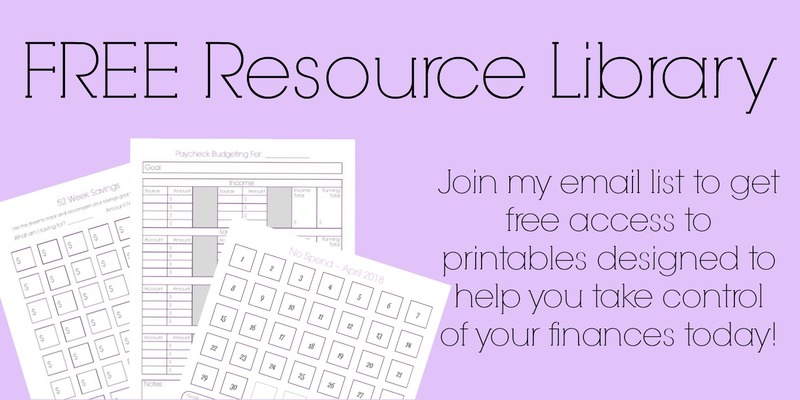 Looking to set up your budget for a different month? 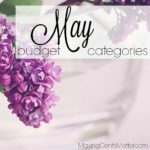 Are there any other budget categories you included in your April budget that I aren’t on this list? Let me know in the comments below and I’ll be sure to add them!